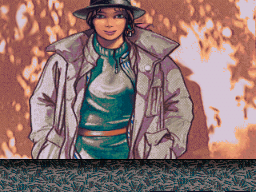 Published in 1988 on the Atari ST, this game also exists on Amiga, Amstrad, and PC. Programmed by Eric Doireau and graphics by Jocelyn Valais. 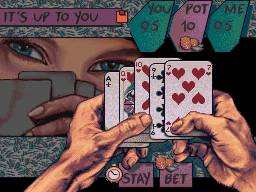 Though there is very little info on this game, it is in my opinion, one of the most beautiful strip-poker games ever. Though it is perhaps weak on the level of play, it does not make it any less addictive. The majority of the graphics come from the Amiga version, some sprites from the Atari, and even some from me. All the play is done with the stylus by pressing the icons. 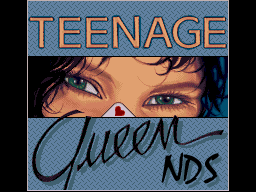 Teenage Queen NDS 1.3 NEWEST!